In our increasingly digital world, where do newspapers fit in? And what should they provide readers? These are some of the questions journalist Mark Di Ionno sets out to answer in his new novel. 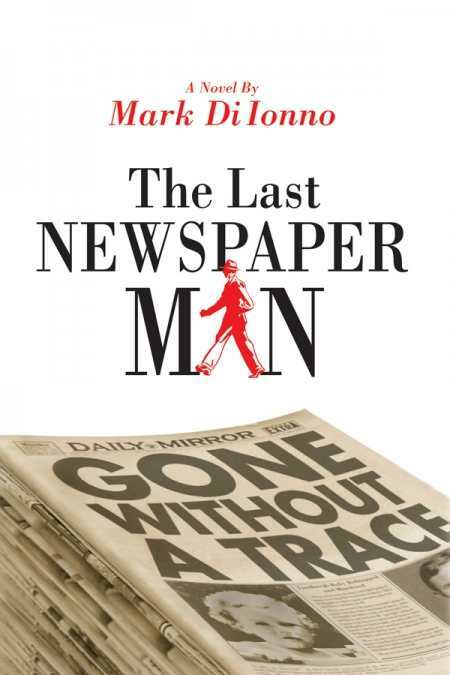 The premise of the book is simple: an unnamed reporter interviews legendary journalist Frederick G. Haines, who reflects on his time in the newspaper business over the last days of his life. After some brief (and unnecessary) background on the narrator, the story is wholly that of Haines: through their conversations and Haines’s unpublished account of the biggest investigation of his career, the subject’s full story comes into view, and, with an emphasis on the graphic and lurid. Among the biggest cases of his career are the wreck of the Hindenburg and the abduction of the Lindbergh baby. It is this last one that the bulk of the narrative focuses on, from Haines being the first on the scene when the case breaks to struggling over whether to publish upsetting news, a quandry that nicely sets up some of the questions the book strives to answer. For both Haines and the narrator, the issue of the proper place of the news is paramount: do journalists inform or entertain, and at what cost? Haines, one of the country’s first “yellow journalists,” stakes his claim on the latter, but the effect takes its toll on the writer, as he struggles to balance the good of the public and the private against the good of the story. The reality of celebrity also figures into his decisions, and it is easy to see echoes of our own star-obsessed culture in Haines’s story. Haines provides a valuable view into the way newspapers work, and the reader lives out his struggles with him as the case continues to reveal layers. The narrator as a character is less well developed, functioning solely to hear Haines’s story and bridge his message into our day. While many of Di Ionno’s characters are fictional, the events are not, and supplemental notes providing more historical context to assist the reader in separating fact and fiction would be helpful. Reflective and entertaining at once, The Last Newspaper Man reveals what being a journalist used to be and also what it means today.